Voile curtains are perfect for privacy without sacrificing light and style. TV presenter, beauty expert and entrepreneur Liz Earle shares her tips for designing a home office that will fill you with a sense of wellbeing. Fashionable solutions to the problem of prying eyes and strong sunshine. 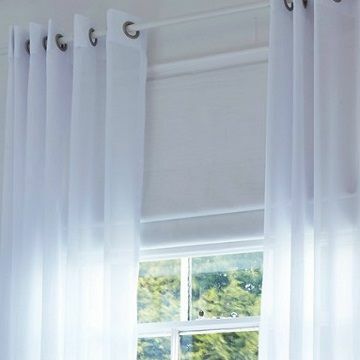 Voile curtains are perfect for protecting your home from nosy neighbours and passing pedestrians, but there’s so much more to these refined and beautiful window dressings. Our collection of voile curtains includes a contemporary range of neutral hues and prints to help you achieve the latest interior looks. 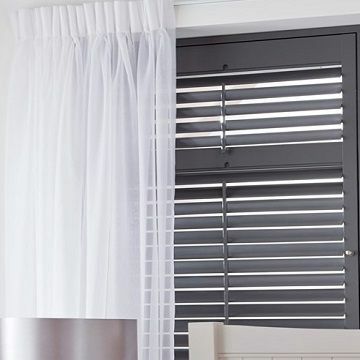 Choose voile curtains for their semi-sheer qualities and you’ll benefit from lots of diffused light throughout the day, even when your curtains are closed. The subtle prints on some fabrics will allow the sunlight to dance and play on your walls and floors, creating texture and interest in your room. Voile curtains look beautiful on their own, but can also be teamed with curtains, blinds and shutters to give you more design options and flexible light control. Request an appointment with an expert advisor and choose your stunning voile curtains in the comfort of your own home. 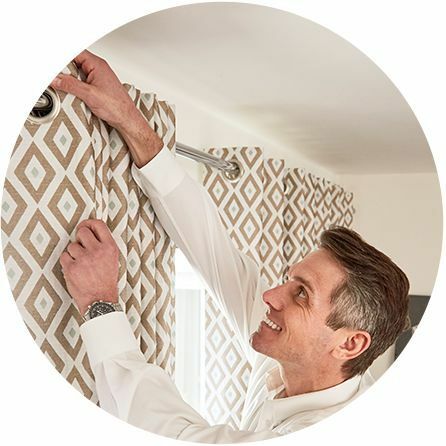 As well as offering style advice and practical tips, your advisor will measure your windows and fit your made-to-measure voile curtains exactly as you want them.